Twenty-two people sat around a table in Quincy, Massachusetts, on Saturday night. Among us there were a variety of differences: our ages, professional experiences, ethnicities and many more. Sitting with this group of friends, I realized the most interesting difference on this occasion was our religious beliefs and affiliations. Among the 22 guests celebrating Passover (due to scheduling, we decided to gather pre-Passover for this seder) together that night, only six or seven of us were Jewish. More interesting than our differences though, is why we were together for a Jewish holiday. 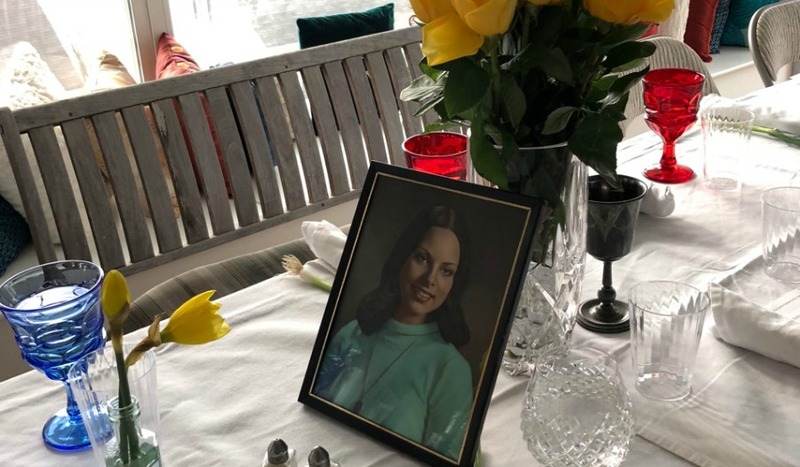 We were all there to celebrate Passover, but more specifically to hold a seder in memory of our friend who passed away in November of last year. Cynthia was one of a kind. She was loving and open to everyone she met. She embraced the differences between us and loved each of us unconditionally. Cynthia and her husband hosted a seder at their home every year. For the past three or four years I had the honor and privilege of joining her family and friends for these special events. It was extra special the first year or two because I didn’t have time off from work to be with my own family for Passover. I inevitably became part of this new family, which continues today even after she’s gone. I grew up in a home where we celebrated Passover with cousins and my grandpa, so the seder experience wasn’t new to me. What was new and wonderful about Cynthia’s seders was that she included people from all parts of her life and they all had their own religious beliefs. Cynthia rewrote her own Haggadah each year, taking parts from previous years and adding new information and traditions as she learned from those around her. One of my favorite parts of the seder from both last year and this year was when we (gently) hit each other with long green onions. Apparently, she learned that some Persian or Afghani seders did this and wanted to include it in ours. In preparation for the seder, one friend sent out links to everyone with the songs we would be singing that night. This was a huge help to those who had never sung, let alone read or heard, Hebrew before. We wanted everyone to feel included and part of the seder, whether it was their first or 50th experience. 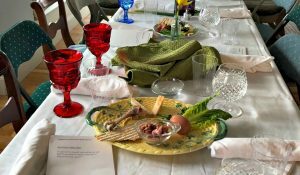 As my husband and I look forward to celebrating our first Passover together since our wedding, I’ve been reflecting a lot about how inclusive this pre-Passover seder celebration was. Through my work at InterfaithFamily I have become more passionate about inclusion within the Jewish community. It will also the first year we’ll be celebrating since my grandpa and my husband’s grandma have passed. Since they were the ones who traditional led the seders, it’s now being passed down to the next generation. We know that there will come a day when we have the honor of hosting and leading the seder ourselves. 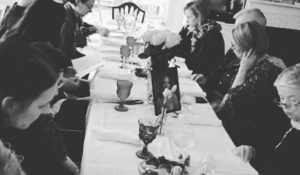 As I sat around the table with my friends, we read the Haggadah Cynthia used last year, sang the songs and discussed how people are still enslaved and oppressed today. Hearing my friend who is Catholic share about how beautiful the seder was and how she learned so much warmed my heart. This evening was just one example of how I’ve seen people come together despite our differences to celebrate our cultures. We don’t have to agree on everything, nor do we have to believe the same things—the fact is that we came together to celebrate a holiday that meant a lot to our friend and continues to bring us all closer. There was so much respect, love and joy in that house on Saturday night and I know I am still carrying that with me today. Whether it’s through celebrating a friend’s son’s bar mitzvah, attending Catholic mass with a friend on Christmas Eve, going to Shabbat services with a friend who is a cantor, or participating in a Passover seder, our group truly embraces our differences and comes together in love and support.